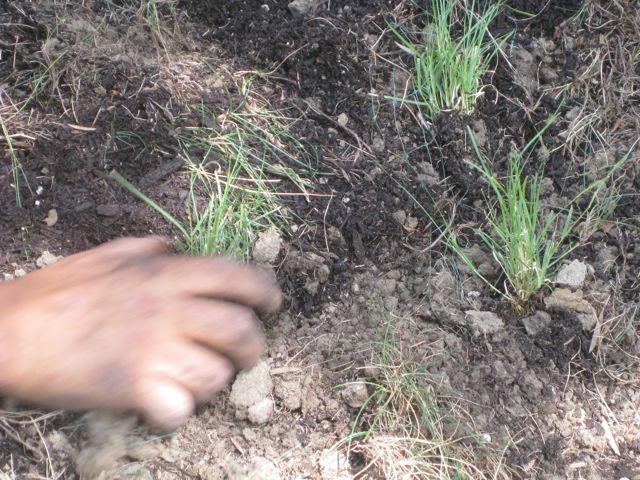 I'm putting "UC Verde," a variety of buffalo grass, ( (Buchloe Dactyloides) to the test in my yard. UC Verde grass was developed by the University of California for dry, desert climates such as ours in Los Angeles as well as Arizona, Nevada andTexas. This creeping red fescue "No Mow" lawn in my yard is lush and natural looking but requires regular water to look it's best. I brag about ripping out lawns and replacing them with gardens all the time, so why am I installing and testing UC Verde grass? If the claims are true regarding UC Verde lawns, I will not hesitate to use it and recommend it to my clients and Eden Maker blog readers. There is nothing inherently "evil" about lawns, after all. According to the Grass Roots Program, the organization that I learned about UC Verde grass from, UC Verde is nothing short of AMAZING for our dry areas. The challenge many people have with common lawns is that they require regular watering, fertilizing and maintenance to look their best. If you live in a drought area like I do, this is a huge issue! 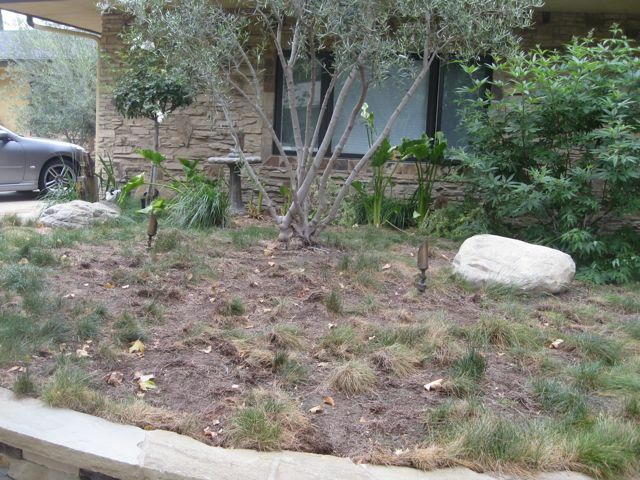 UC Verde grass uses up to 70-80% less water than common fescues and other popular varieties! UC Verde grass grow is a slow grower and can be mowed every 5 to 6 weeks instead of weekly! UC Verde is virtually pest and disease free so pesticide use should be nil to nothing! UC Verde is low on the pollen scale – good for allergy sufferers. 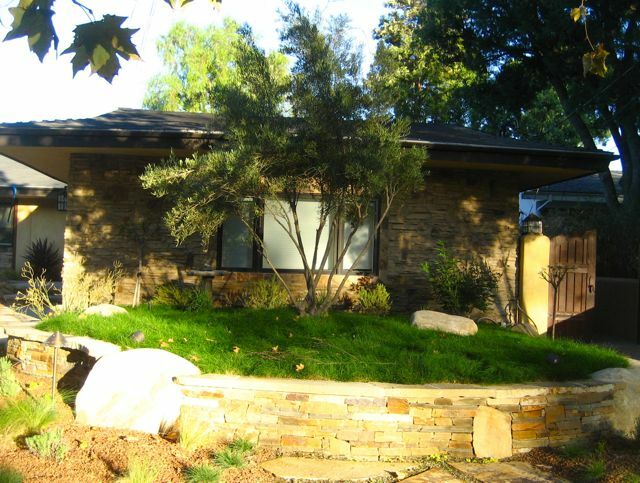 Read my blog post titled "An 'Alternate Lawn' as a Lawn Alternative" for more information. On with my lawn test area! This is what my "lush" red fescue lawn (shown above) looks like today. I water 3 times per week for 10 minutes and it still looks brown! I removed most of the "dead" red fescue clumps, and prepared the soil by loosening up the top 8" inches. I added organic compost to the soil before planting the UC Verde grass. 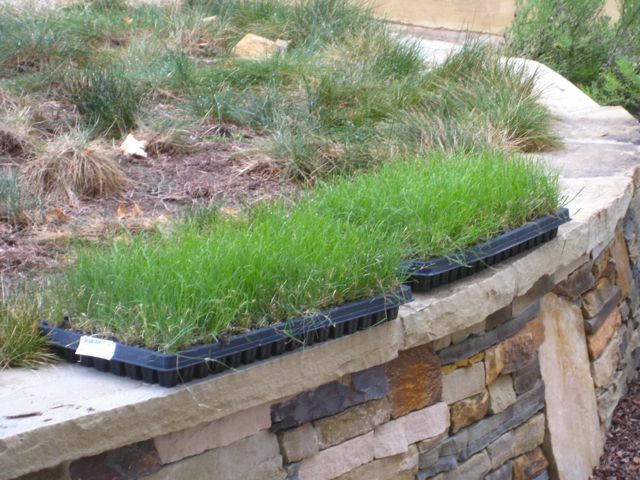 The UC Verde grass is delivered in cell packs instead of in "sod form." Each tray holds either 72 or 128 plugs and is light weight for shipping. 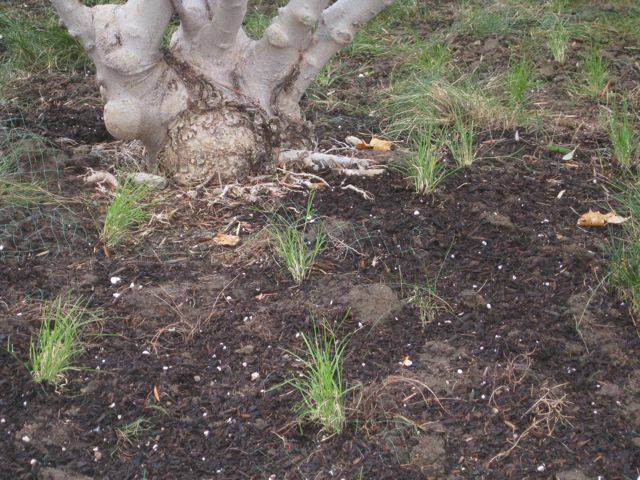 Each plug is approximately 1 3/4" inches deep and spreads above ground via stolons. I planted the UC Verde plugs approximately 8 – 10" inches on center for faster coverage. I also left some of the red fescue along the periphery to maintain some green color when the UC Verde goes through it's brief semi -dormancy period in the winter. 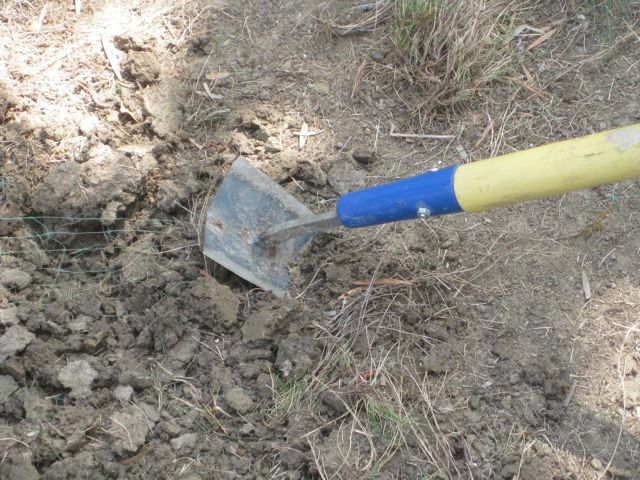 The plugs are planted and require frequent watering during the establishing period- which runs approximately 4-6 weeks. I have my timer set for twice daily watering for 10 minutes- once in the morning and again in the early evening. When this period is over, my UC Verde lawn will be watered every 10 to 12 days (according to the Grass Roots Program recommendation). I can give it a light mowing then as well. In the winter, forget about watering all together and go shopping for holiday presents with the money you save on water! I have specific expectations from the UC Verde lawn. Once established, I expect it to look green and lush with the required watering schedule (which is much less than my red fescue requires). I understand that it needs at least 5-6 hours of full sun ( I have a smidgen of shade from my Olive tree, but not much). I expect the UC Verde lawn to thrive with minimal fertilizing. I will be satisfied with the "natural look" of this grass as I'm not into mowing- at all! Is that too much to ask for a lawn that will be basking in 110 degree summer heat? Show me the money UC Verde!!! Please visit the UC Verde website for Frequently Asked Questions regarding ordering, prices, maintenance and more. Subscribe to Shirley Bovshow's Eden Makers Blog for updates on the UC Verde lawn test and design ideas for dry gardens and landscapes! My UC Verde lawn is in good shape. During cold weather it does brown a bit but I have other plants in place so that the area doesn’t look lifeless. I would rate UC Verde a 6 on year round performance and looks. Can you give an update on how the UC Verde lawn is doing today? Looks like it'd be just shy of 5 years old now. Thanks in advance! Shirley – How’s the grass project? I had this guy do my landscape and front gate out of stone I think there is a photograph in the gallery. Its based in south florida (where I live) and he used florida natives in the most unique way. That raised bed lawn concept looks great as an option to dial-in the landscape. I’d even consider doing it with blue fescue too. Or blue around green. Interesting … I’m several months ahead of you with my UC Verde lawn in Phoenix. So far (see the link) it’s doing well. You say, “When this period is over, my UC Verde lawn will be watered every 10 to 12 days” … don’t suddenly switch from twice-daily watering to every two weeks. You have to wean any xeriscape plant off the establishment schedule, increasing the watering time as you spread out the intervals. I’m watering for 12 minutes, every three days now, in Phoenix in June … it will it will increase to 15 minutes every 5 days in a week or two … etc. And use a moisture meter … 10 minutes twice a day, unless you have wimpy sprinklers, is a lot of water. We started out with 5 minutes, twice a day and that was plenty. Thanks for trialing the UC Verde Buffalo Grass. We are the producers here in in Fresno,CA and I can tell you from experience there is not other grass that can be mowed that is a tough than UC Verde. My father had a large landscape maintance company in Orange County back in the days when water wasn’t an issue and I can tell you we used alot of water to keep the grass green. Now with our water issues and growing population we can’t afford to do that. Here in the Central Valley around 100,000 acres will go unplanted due to lack of water. Imagine if that continues… Not only will people in Southern CA pay more for their water but also any fresh produced here in the Central Valley. Anyways I know you will enjoy the grass and it will use less water. Otherwise I wouldn’t of gotten involved with this grass. 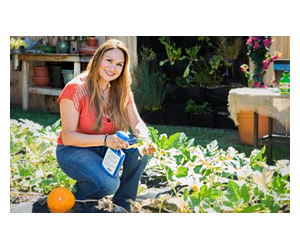 Thanks for leading the way to the “New California Gardens”. This is really a fantastic topic, Shirley, and I’m very interested in reading about the lawn’s progress. 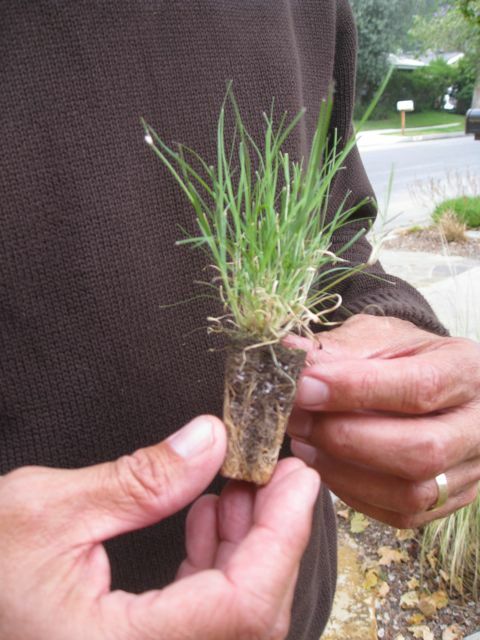 I recommended replacing fescue with native grass for an HOA and your “experiment” will be of great interest!! Thanks for the kind words. What do you replace your lawns with? This is so interesting. I hope it lives up to the advertisetment. It is pretty and you sure prepared the soil well before it went in. Seems like a good idea. We are having record rains. It’s a grand welcome after last year’s drought. What a fun experiment. I enjoy ripping out lawns as well. I love your blog! Thank you for the great post. why thank you Debra! Yes, good luck to me and UC Verde. I need this to work so that I can use it in my landscapes. good luck – I loved the no-mow look but had no idea how disppointing it was for you. 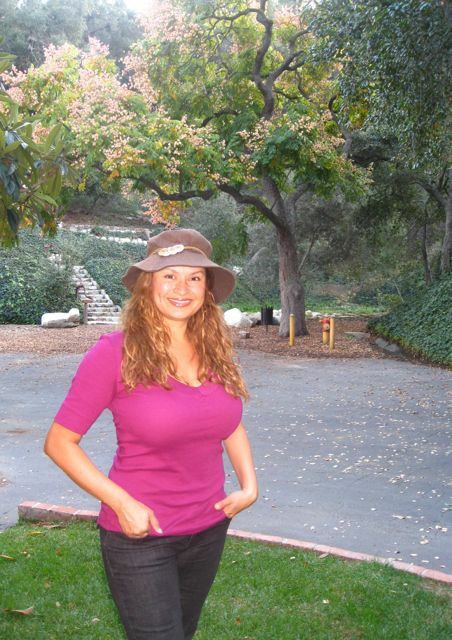 I amire you, Shirley – you’re always learning, experimenting, teaching yourself! I hope the new variety is a success!